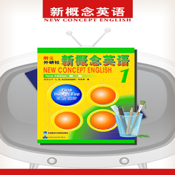 New Concept English, one of the most popular English textbook, has had great impact on generations of English learners in China. It boasts interesting stories, authentic language and useful vocabulary. FLTRP, the authorized publisher of New Concept English, has sincerely presented the video course of New Concept English 1 to iPhone/iPod Touch users. *Conrolled comprehension, summary writing and composition practice. With New Concept English 1 Video Course, learning English becomes easy and fun, and impressive progress will be just a fingertip away. New Concept English 1 Video Course contains all the features of New Concept English 1 (British Version), along with high quality video courses. N.B. New Concept English 1 (British Version) was uploaded by another account of FLTRP (2U4U). 1. Detailed explanation and vivid presentation by Famous English teachers. 2. Authentic recording read by well-known broadcasters. 3. 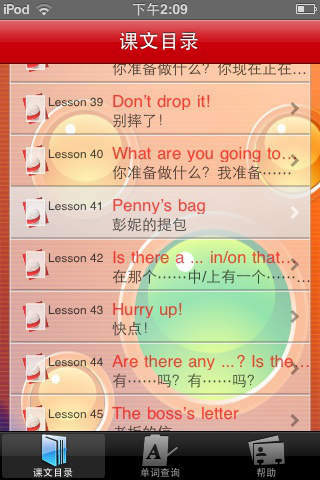 Well-structured platform of learning materials, with one-click switch between English and its Chinese translation. 4. User-friendly interface with elaborately designed display. 5. Notes on the text and vocabulary for each lesson. 6. Glossary with detailed explanations and examples. Easy retrieval. 8. Audio playing continues on lock-screen mode. 9. Simultaneous highlights of texts with the recording and touch to locate the audio playback position. 10. Optimized for iPhone 4 Retina screen resolution. 11. Pleasant and relaxing random backgound pictures. 12. Various setting options for highlight function. 13. Guaranteed services and software upgrade.